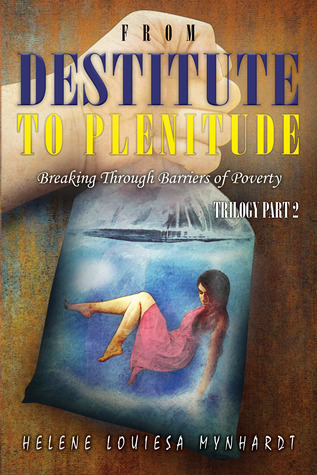 From Destitute to Plenitude is the second book of Louiesa Mynhardt in her trilogy. The first book Memoirs of a play-white told readers about the childhood days of the author, her relationship with her mother, and their struggles. It also includes racism and apartheid regime of South Africa. This book continues with her story along the living conditions of South Africa. This book starts with the racism reclassification. The author mentions the government policies and procedures regarding white, black and, Asian people. In this, she took the examples of other people as well. South Africa black population has suffered a lot, and the author describes it briefly. South Africa hosted Rugby World Cup in 1995 which changes the point of view of other nations towards this country. Sports bring people of every race together. Being a hosting country, every eye were on them. It increases local business. But few rules create problems as well. The price of the tickets was high and very few people afford it. Racism affect games and player too. The author includes some examples of a sports person. The author also includes Soccer World Cup, 2010. The author married to Harold. Their marriage was based on an agreement. I am born and brought up in India. Here there is no such concept. So it's fascinating to know about it. There's a whole chapter dedicated to their marriage, relatives, and all the arrangements. I really like this chapter. I feel sorry for Doris, Louiesa's mother. I really want to know more about the author relationship with her daughters. Just like she describes her relationship with Doris in the previous book. Louiesa got entrepreneurial skills in here genes. She works in a bank, but she resigns from her job and establishes Sterling Debt Recovery. In a male-dominated society, she strives to achieve success. Their firm works on a commission basis and recovers the money from bank debtors. Every business has its pros and cons. The author faces countless problems. Her employees and family members were a part of sexual harassment, theft, mortgage issues, and many more things. She has to face competitions in the market. The changes in technology and government policies also became hinderance. The author describes everything in detail. The South African people abandon their black child just because they want to live a life of a white person. This book gives me a proper insight into South Africa. As a reader, I want to know more details about the author relationship with her family while dealing with the crisis at work. Do they support her? If they ever fight? Does the author also beat her daughters just like Doris? Does their marriage still base on that agreement? If she ever finds out about her father? I have so many questions, and I hope to get all my answers in the last book of her trilogy. Just like her debut book, this book and her work are commendable. The journey of her life is phenomenal. Every writer needs a story to tell, a story worth reading. For an autobiography, you need to live your life fully. You need encounters which are worthy. The author life is full of different kinds of experiences. She did justice with her story, and the other characters were well described. But I wish to read more about her instead of government policies. Overall, it's a short, and a good read. The language is simple. The book is informative. I recommend it to everyone.